Owning your own business is the quintessential American dream, but it’s certainly not one everyone can master. 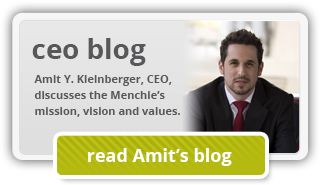 For those who’ve never owned their own business, the challenge can seem insurmountable. If you’re one of those people, you may already be considering the many plusses of joining a franchise system, in particular a self-serve yogurt franchise system, that is already proven and can guide you along the same steps that have led to rewards for hundreds of others before you. There are any number of yogurt franchises to choose from, but what makes Menchie’s special is the experience. 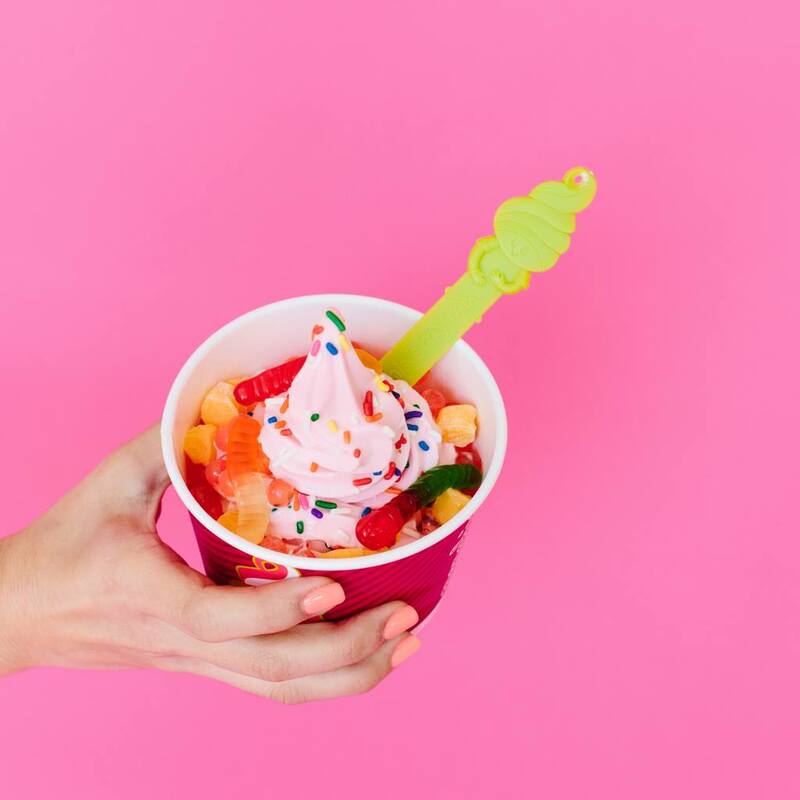 Yes, we offer a delicious selection of frozen treats from our Private Label Collection of frozen yogurt and we have a mouth-watering buffet of toppings guests can choose to customize their froyo, but what really keeps them coming back is how Menchie’s makes them feel. Our goal is to make every guest walk out of Menchie’s happier than when they walked in. And you might be surprised at who we’re looking for to help us accomplish that goal. Entrepreneurial experience is welcomed, but it’s not required. Perhaps you’re just out of college and deciding whether to pursue an MBA. Maybe you’ve burned out in your executive career and you’re ready for a more fulfilling challenge. You might be looking for a venture to help provide active retirement income. Imagine investing in Menchie’s, a place where you’ll be dealing all day with happy guests, not boring meetings and endless lectures. Consider the advantages we offer to first-time business owners. Customers make their own frozen treats, leaving franchise owners and their team members to focus their energy on creating the best guest experience possible. Hard work is always ingredient No. 1 in the recipe for success, but how you spend your energy depends on the kind of business you choose. As an entrepreneur in the Menchie’s franchise system, the learning curve for understanding our operations is actually quite simple. We’ve done all the planning for you. We have easy-to-maintain frozen yogurt machines. We ship the products to your door. You clean your location and keep your toppings bar stocked. There’s no complicated assembly or sales process to master; there are no complicated inventories or recipes and cooking procedures to learn. Since guests serve themselves with our Mix Weigh Pay® system, all you and your team members have to concentrate on is smiling, being genuinely friendly and making sure the guests enjoy themselves. We’ll explain how to set up the back-end business systems to help you account for everything else. You’ll spend most of your time working with your community and providing the best guest experience you can. Menchie’s grew from a single location in Southern California in 2007 to more than 500 units worldwide in 2017. We set out to grow with intention, developing processes and systems through trial and error so that our franchise owners will be starting out of the gate with a proven roadmap. Instead of starting your own business from scratch and learning as you go, you’ll be able to reach out to fellow franchise owners and our experienced franchising team to coach you through the challenges. It’s almost like earning an MBA in real life. During the time you’d spend earning your MBA, you can build a strong business through practice, rather than just studying theory. And studying doesn’t earn revenue. You’ll also be able to make the most of being part of a successful, global self-serve yogurt franchise. Menchie’s has brand recognition and a nationwide marketing strategy that our franchisees benefit from. We often partner with popular branded treats (think Heath, Oreo, Nestlé Crunch) and hit movies, offering movie character-themed cups and collectibles. That’s a great draw for guests. 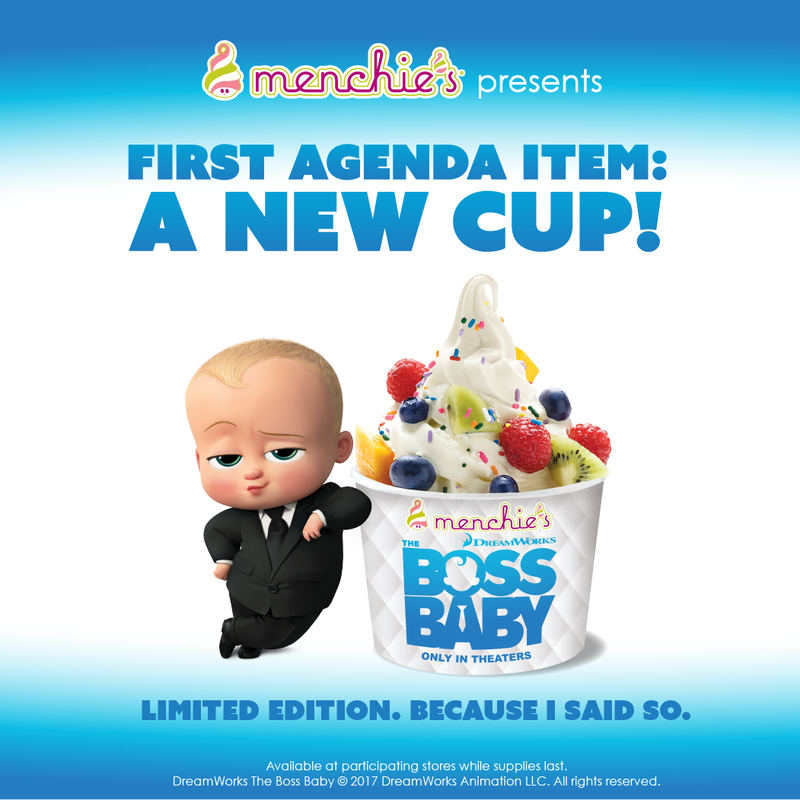 ‘The Boss Baby,’ an animated movie released in March 2017, was incorporated into LTO character cups. Starting a business on your own is daunting. With Menchie’s, you’ll have built-in business systems and the example of hundreds of others who’ve been successful following our roadmap. If you’ve always wanted to be an entrepreneur but weren’t sure where to start, Menchie’s could be perfect for you. 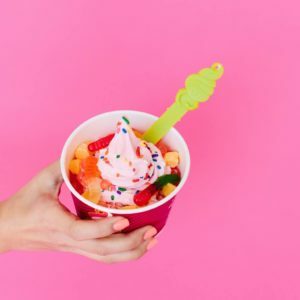 If you’d like to learn more about our running your own self-serve yogurt franchise, we invite you to take a closer look at Menchie’s. We’re always looking for passionate, people-loving entrepreneurs who want to make a difference in their communities. Just fill out the form on this page to start a conversation with our friendly franchise representatives. We look forward to hearing from you!